When the weather is cold, I always seek out warm foods. It was on one of these days I discovered just how delicious baked ricotta is. For a long time I've been baking ricotta for an afternoon snack or warm dessert, but it takes around an hour for it to bake completely and sometimes I just don't have the time - or the patience. I decided I needed a warm dessert for winter nights - so I broke out my silicone baking cups, grabbed the ricotta and got to experimenting. What came out of my experiments was one of the simplest, but most delicious recipes I have made. It can easily be multiplied and made into a full sized cake and if you prefer a crust on your cheesecake, that can be added too! This version has only three ingredients and each ricotta cup has around 10 grams of protein! 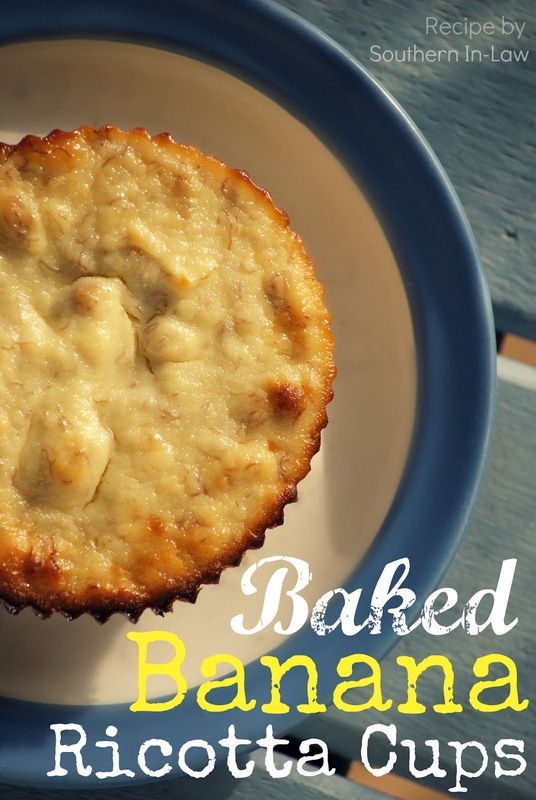 They're a delicious and healthy dessert or snack option that's so simple to make! The banana caramelises, making the ricotta sweet and full of flavour. A quick and healthy dessert that can easily be multiplied for bigger batches and freezes well. 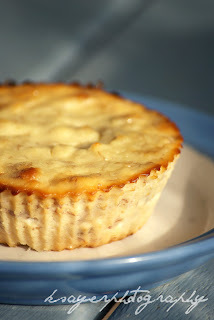 It's like a healthy gluten free cheesecake - add a crust if you prefer! In a mixing bowl, mash the banana thoroughly. Add ricotta and egg and mix until combined. 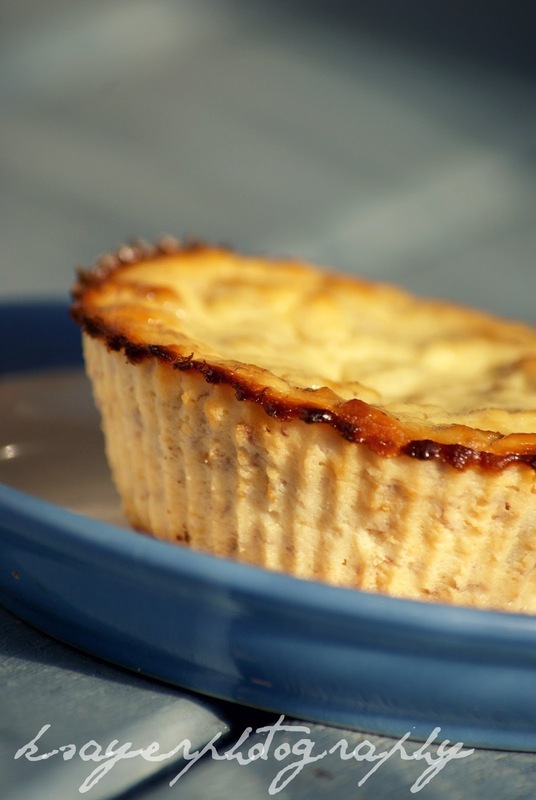 Bake for around an hour, or until edges caramelise and the ricotta cups are set. Leave to cool slightly, serve warm or chill in the fridge. 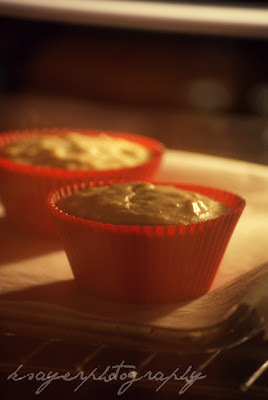 Notes: When you take them out of the oven, the do shrink a bit - but this is normal! *I haven't tried making them in anything other than the silicone cups as they are the easiest to get the delicate cheesecakes out of. 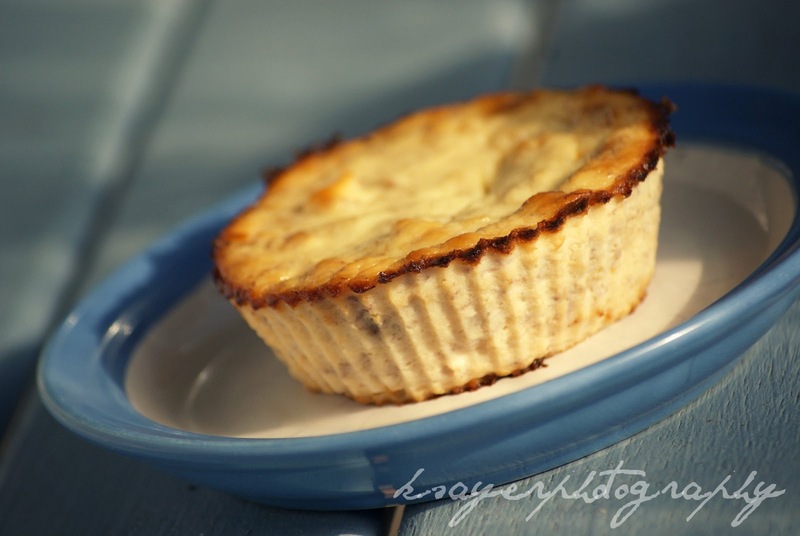 If you try this recipe in muffin tins or any other tin, let me know! Dessert doesn't get much simpler than that - does it? Plus they're healthy too, so what more reason do you need to give them a try! Feel free to add sugar if you have more of a sweet tooth - or whatever other additions you might feel like. 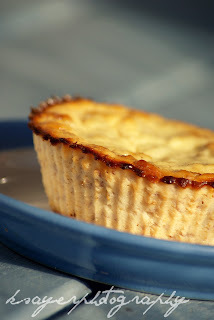 I have other versions of these ricotta cups that I make that I will be posting in the future, let me know if you have any ideas that you'd like me to try! But first tell me, What's your favourite wintery dessert? Can't believe there are only 3 ingredients! This is a must try...They look really yummy! It's definitely a must try recipe, they're so delicious its hard to believe theyre so easy to make! Let me know what you think! I made these last night and I added a teaspoon of SF vanilla syrup to it. they tasted just like banna bread! Thanks you so much for the recipe! I will definately be making them again! Oh yay! I'm so glad you loved them - if you make them again, be sure to take a picture and send it to me so I can add it to our reader showcase! Making these right now in muffin tin! I'll let you know how it goes! Thank you for the recipe!